VW offers 'goodwill package' to appease diesel owners in U.S.
WASHINGTON -- Volkswagen of America will offer $500 to owners of 2.0-liter diesel vehicles with illegal emissions test-rigging software, part of a “goodwill” package aimed at calming customers affected by the company’s deception. The offer applies to U.S. customers only, the automaker told German media. VW said last month it will recall about 8.5 million cars across Europe affected by the emissions scandal. The $500 will come on a prepaid Visa card and can be used wherever Visa is accepted, VW said in a statement. As part of the package, affected owners will also receive a second prepaid card worth $500 that can be redeemed at VW dealerships, and three years of 24-hour roadside assistance. While VW continues to work on fixes for its noncompliant diesels, and has offered financial support and enhanced sales incentives to dealers encumbered by unsalable inventory, the goodwill package announced on Monday is VW’s first major step to mollify owners affected by the emissions scandal. The program extends only to owners of affected 2.0-liter diesel vehicles. The EPA said last week that some Audi, Porsche and VW models powered by 3.0-liter diesel V-6 engines also contained emissions “defeat device” software. The EPA said Sept. 18 that roughly 482,000 2.0-liter diesel VW and Audi vehicles contained illegal software designed to mask smog-forming nitrogen oxide emissions that were up to 40 times permissible levels. The program introduced today covers only VW-brand vehicles from the 2009-15 model years that contain the software. Audi is working on a similar program to launch on Nov. 13, VW’s statement said. To use the funds, customers will have to jump through a few hoops. A vehicle identification number must be used at a VW website, www.vwdieselinfo.com, to see whether a car and owner is eligible under the offer. If a customer’s vehicle is covered, the owner must enter contact information and the current odometer mileage. Customers will then receive the prepaid cards in the mail within four weeks, VW said. To activate the cards, customers must bring them into a dealership, along with the eligible vehicle, a driver’s license and proof of ownership. A VW spokeswoman said the goodwill program does not include a waiver of legal claims stemming from the company’s emissions violations. 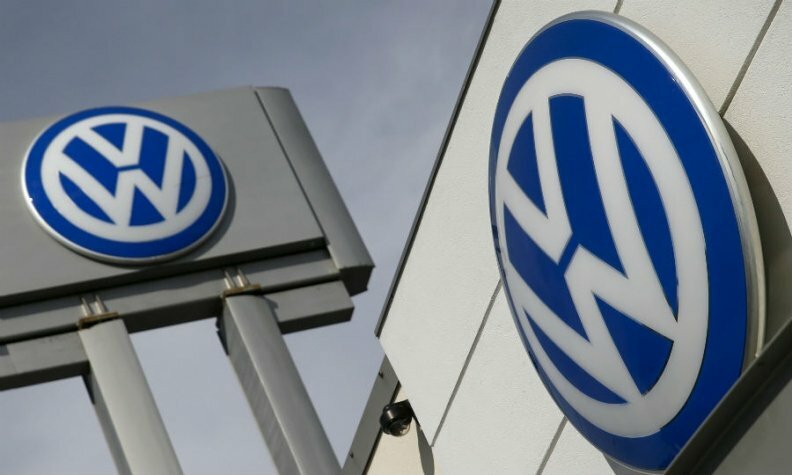 The program’s terms and conditions include a trial by jury waiver, but that waiver only extends to claims related to the compensation program and does not affect a customer’s right to sue VW for claims related to its 2.0-liter diesel emissions violations. VW continues to work on repair plans with the EPA and California’s Air Resources Board to bring the affected diesels into compliance with clean-air laws, VW’s statement said. VW has said that each of the three generations of 2.0-liter diesel engines containing the illegal software will require different repairs. About 325,000 of the vehicles using the first generation of VW’s 2.0-liter diesel will require software and hardware changes, Horn told a panel of U.S. lawmakers on Oct. 8. Those changes could be extensive. About 67,000 newer vehicles with the third-generation diesel meet emissions standards and can be made compliant with a software update alone, Horn told lawmakers. The roughly 90,000 2012-14 Passats using the second-generation 2.0-liter diesel will need a software update, but it’s unclear if they will need hardware changes also.